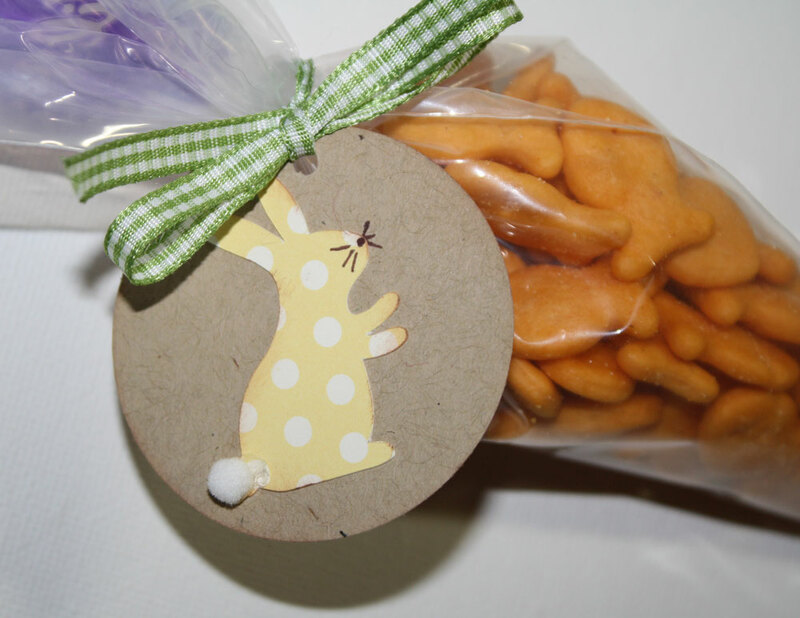 Easter is nearly here and I had to make something for the girls' PreK classes. 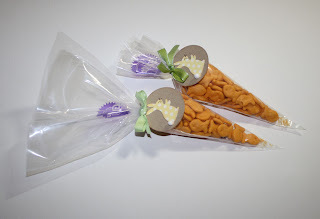 I was cruising Pinterest and found a cute carrot shaped treat I thought would be great for the kids. What I think I liked the most was they were filled with goldfish instead of jelly beans or other candies. We all know they get enough sugary treats at Easter anyway. I changed them up a little to add some Easter tags and ribbon. These are very easy, and I put together a quick tutorial to give everyone an idea about the amount of supplies they would need if you are making them for a whole class. I used the 2" punch to cut the circles and my Silhouette SD to cut the bunnies. 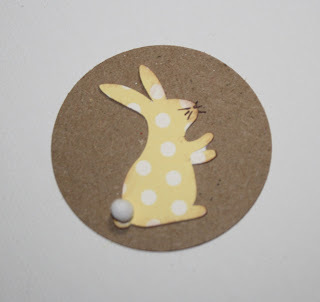 The bunny was a cut file created by Lori Whitlock that you can purchase from the Silhouette site. Ink the edges of both to give it a slightly distressed look. 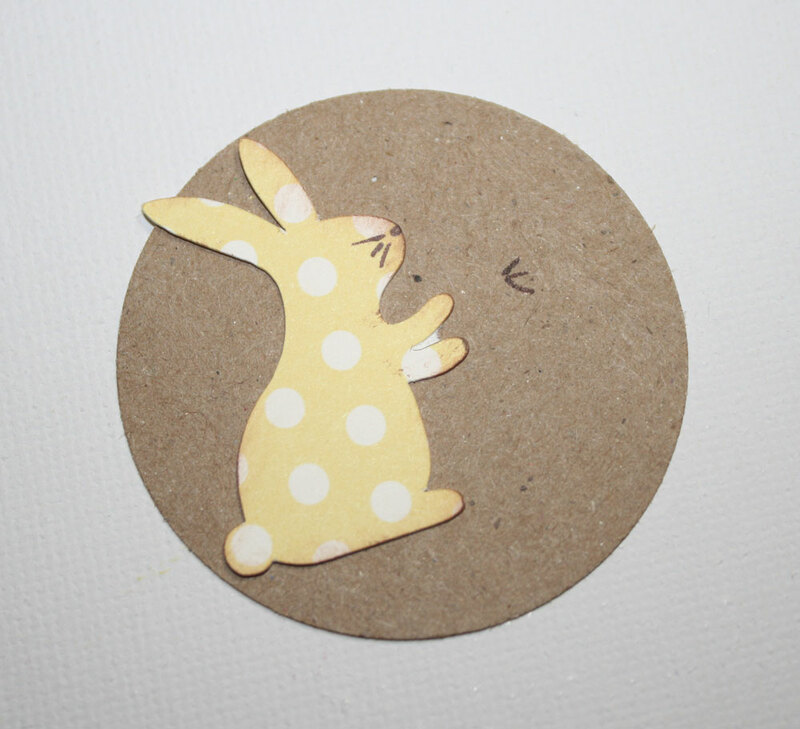 I then drew the whiskers on the bunny. Before gluing him down I estimated placement and drew additional whiskers on the tag. I then lined the bunny up with the whiskers and attached him to the tag. Next use glue dots to attach the little white tail and use the Crop a dile to punch the whole for the ribbon. That finishes up the tags for now. 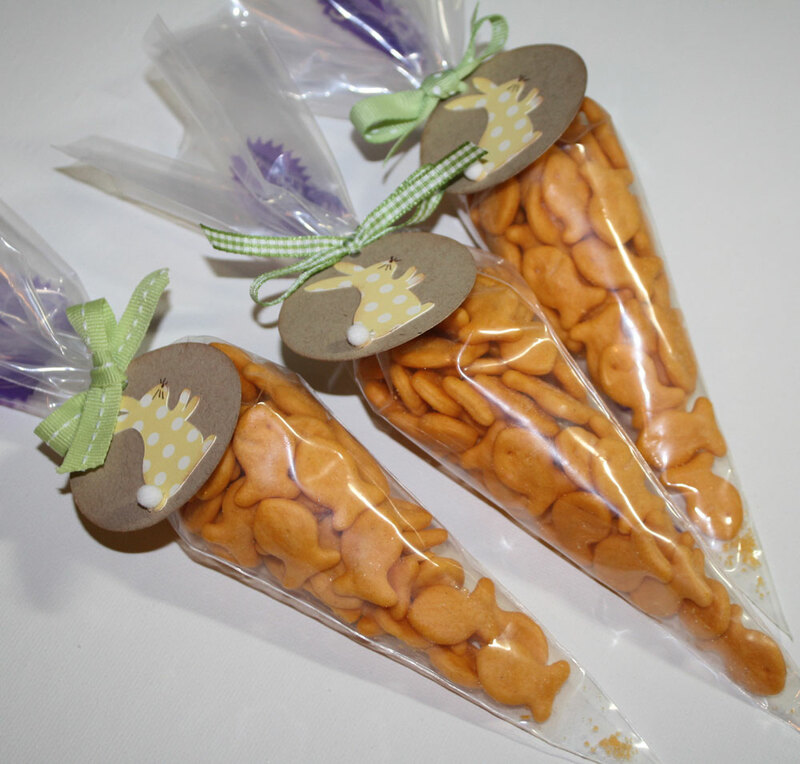 To fill the bags use 1/2 cup of goldfish in each bag. I then ran the ribbon through the tag and tied to the filled bag. There will be some room left at the top. If you have fewer kids you are making these for you can always add more fish. If you are trying to conserve goldfish just trim it off like shown. I really liked how the tag turned out. 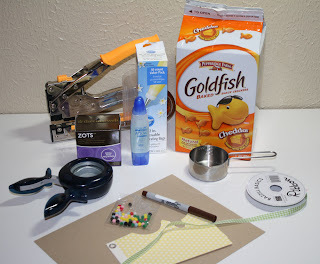 Kraft cardstock and ribbon are 2 of my go to scrappy things. I hope these little treats helped inspire you to make some treats of your own this weekend.